The Organic Sirloin Joint is the Rolls Royce of the beef joints. It really offers the best of both worlds. 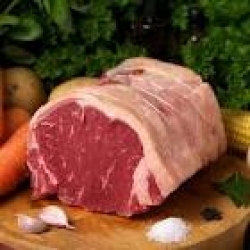 It is incredibly tender, yet still maintains all the traditional flavour of perfect Roast Beef.